We currently have one service each Sunday at 10:30 a.m.
Who is welcome at your services? Anyone is welcome! God’s House is open to all people, regardless of what you’ve been through in the past or where you’re at today. Whatever you like! Some folks in our congregation wear jeans and casual clothes, while others like to dress up. Whatever allows you to worship best is fine with us. Where should I enter the church? We have several entrances. The entrances on the south side of the church (by the main parking lot) are closest. Handicap visiting is also available near the building. How many people attend your services? 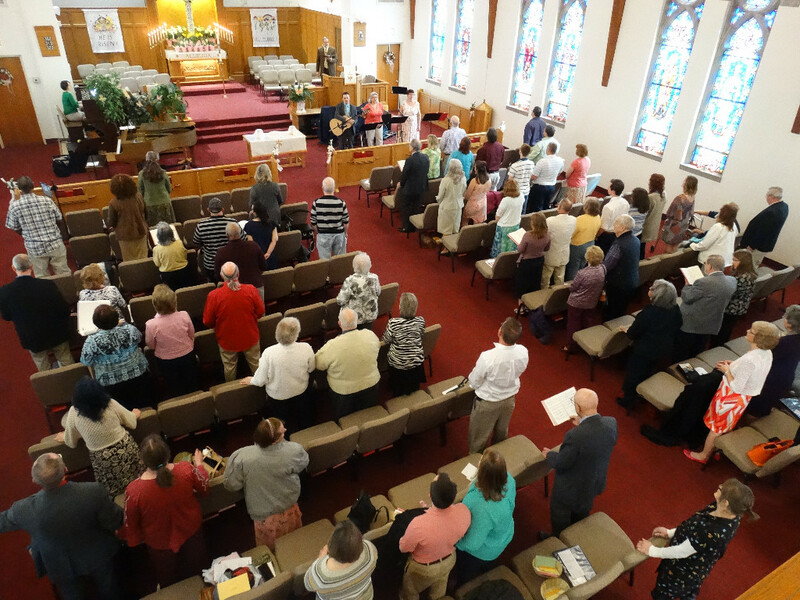 We generally have around 85-90 people in worship. It is large enough that you probably won’t know everyone, but small enough that it truly feels like a family. Anyone! 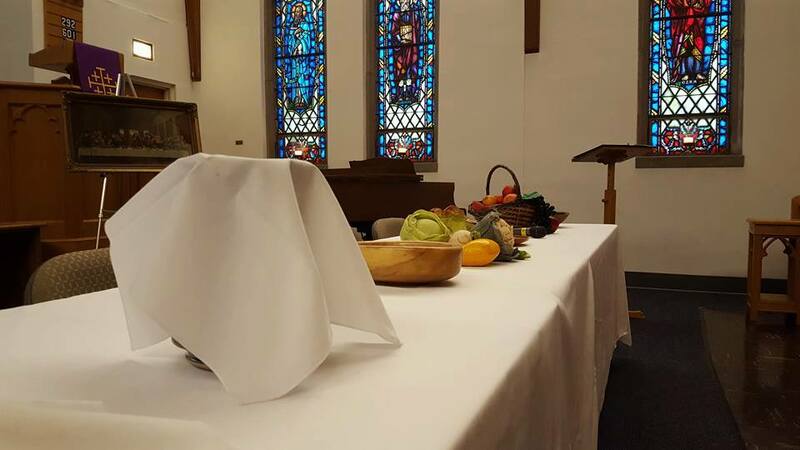 As a United Methodist Church, we practice an open table —meaning that it is open to all people as a sign of God’s radical grace that’s open to all. We generally have communion the first Sunday of each month. We have a full choir that sings in our worship services. If you’re looking to join, we’d love to have you! See the music tab for more information. We have a nursery which is open during services to children ages 0-kindergarten. It is covered by a trained, backgrounded check childcare provider. Children 1st through 6th grade also have activities especially for them during our services. We have Sunday School classes before our service on Sunday mornings. Classes start at 9:00 a.m. and are open to all ages. Are you a Bible-believing church? We uphold the authority of the Bible and believe it to be our central guide for faith and life. It teaches us about our own need for God’s salvation as well as how we are to work for justice and peace in the world. Do you have prayer groups? Belmont United Methodist Church is a praying church. That means we take prayer seriously. In fact, we believe that prayer is the lifeblood of all we do and the best way we connect with God. We accept prayer requests anytime someone needs prayer. We have a “prayer tree” outside of our sanctuary where people can post their requests. We have a regular prayer group who prays every Wednesday morning at 8:30 a.m. Our Prayer room is always open for anyone to drop in for prayer. Do you have an electronic giving option? Yes. We partner with Vanco as our electronic giving option. This service makes it possible for you to send your tithes and offerings to church while you are away or just so you don't forgot. Click here, VANCO, then follow the screen instructions. If you are going to give directly from your checking account, please have your account number and routing number handy. This is a secure site so you will need to set up a password. Remember you are not obliged to use this service. Cash and Checks will always be an acceptable method for your giving. If you have any questions, Please let us know.